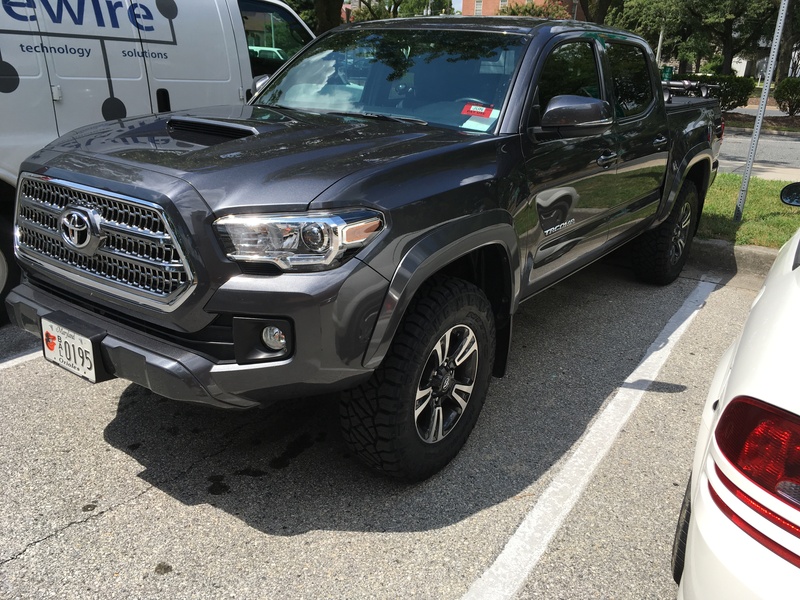 I recently installed a set of Nitto Ridge Grappler tires on my my 2016 Tacoma TRD Sport Double Cab and wanted to share my thoughts with you all regarding my experiences with the tires thus far. 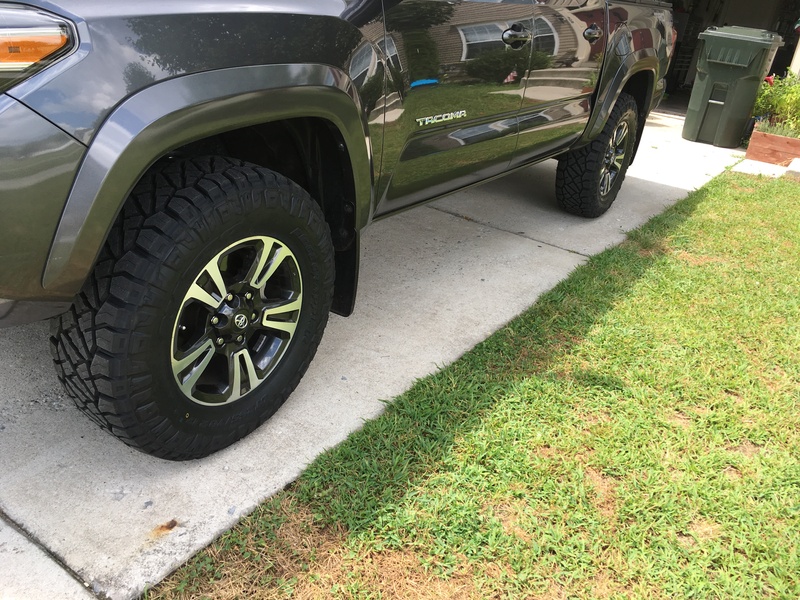 I went with the 265/70R17 (31.65x10.71) variety on factory Toyota wheels (17x7.5 with 30mm offset / 5.43 backspacing). The stock tires are Firestone Destination LE2 tires (what I call minivan tires) in the 265/65R17 (30.55x10.43) variety. 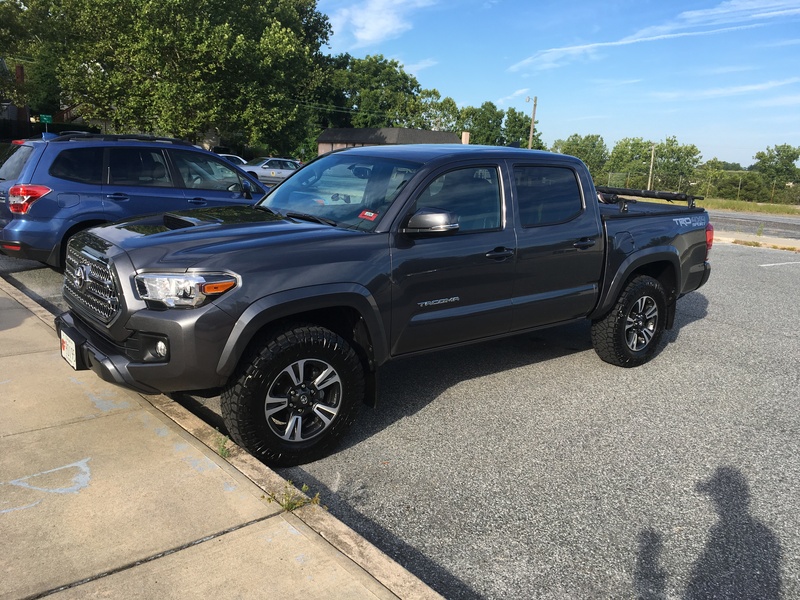 The Ridge Grapplers are slightly wider and a little over an inch larger in diameter, but I had ZERO clearance issues. No frame/body mount rubbing when fully turned in either direction, adequate clearance of suspension, braking and steering equipment and no lift, wheel spacers or modification were necessary. I also found that added tire size also made my speedometer readings MORE accurate since before I had the tires installed my speedometer would read faster than my actual speed - the new tires actually put my speed readings spot on so I have no worries regarding inaccuracies typically caused by larger tires (this is specifically for my case with a 2016 Tacoma and this particular tire/size - not all makes, models and tires will have similar results). 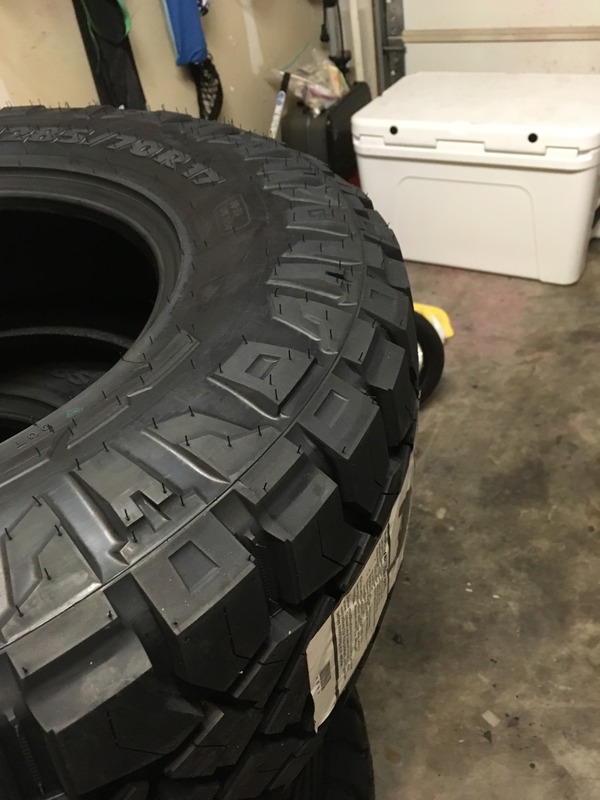 The tread design is perhaps the most aggressive looking A/T tire on the market. 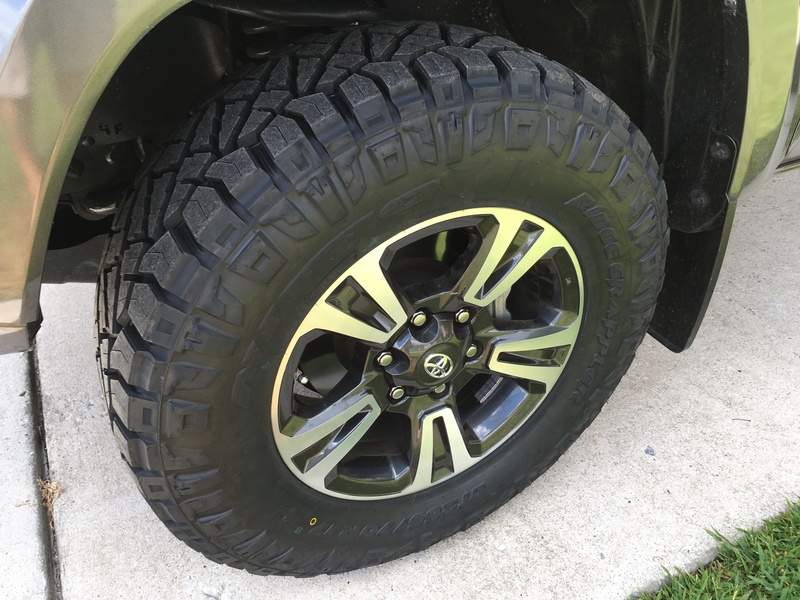 Nitto's goal was to produce an all terrain tire with excellent road mannerisms while incorporating designs and capabilities of a mud terrain tire for the daily driver than tends to find him/herself wondering off road from time to time. Personally, I think Nitto nailed it with this design! 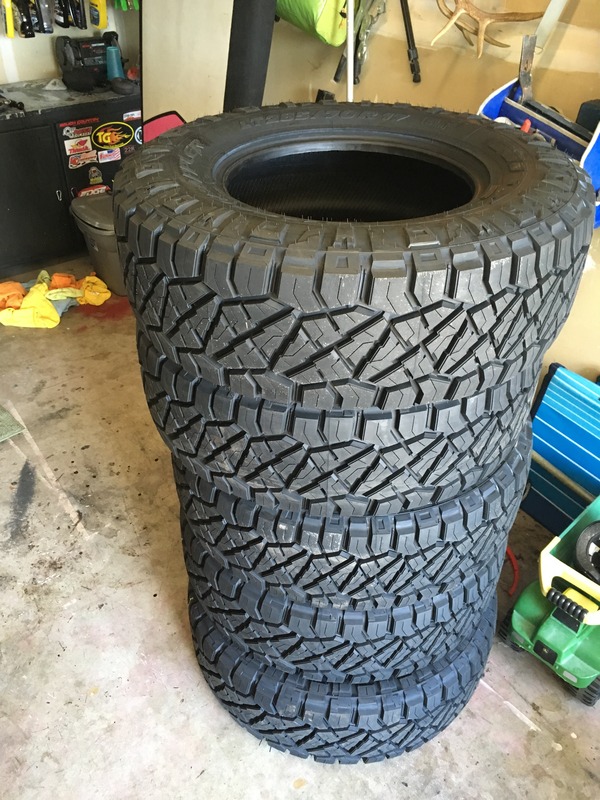 They are also designed with two slightly different sidewall patterns to choose from when mounting so make sure your tire shop knows this so your sidewalls match on all four corners. I couldn't believe how incredibly quiet these tires are on the road! I figured that I would have some sort of hmmmm or vibration given their design, but I didn't notice any difference over the road noise of the stock tires. They grip the road very well wet and dry, they don't cake up in the mud and they are INCREDIBLE in the sand! 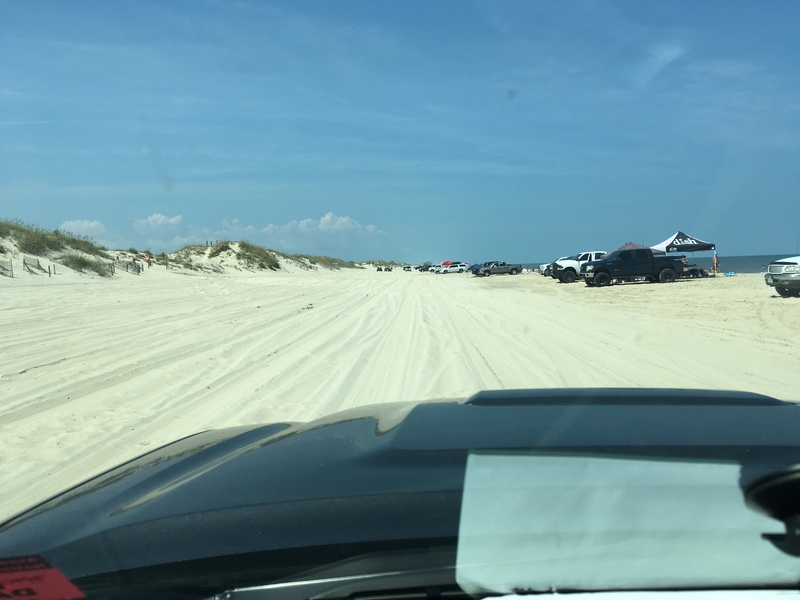 I recently took a trip down to the Outer Banks, North Carolina and we stayed in the North Swan Beach 4x4 Community. To get to our rental home, it took a 7 mile drive down the beach. Sometimes the sand was wet and packed, sometimes it was very dry and loose and sometimes it was somewhere in between. It didn't matter - the Ridge Grapplers grabbed the sand and plowed through. 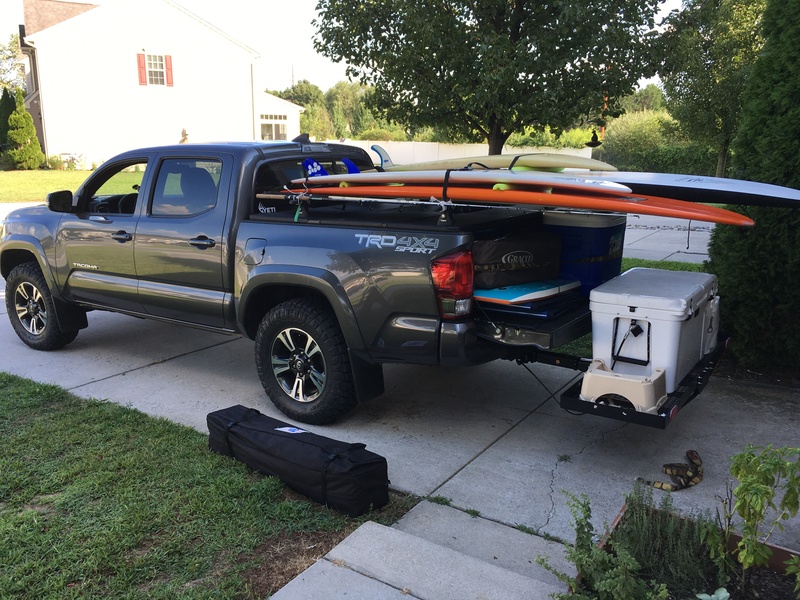 I never even needed to air down - I was running the 45 psi that I typically run on the road while other trucks (including locals) were airing down to 20 psi and some still getting stuck! 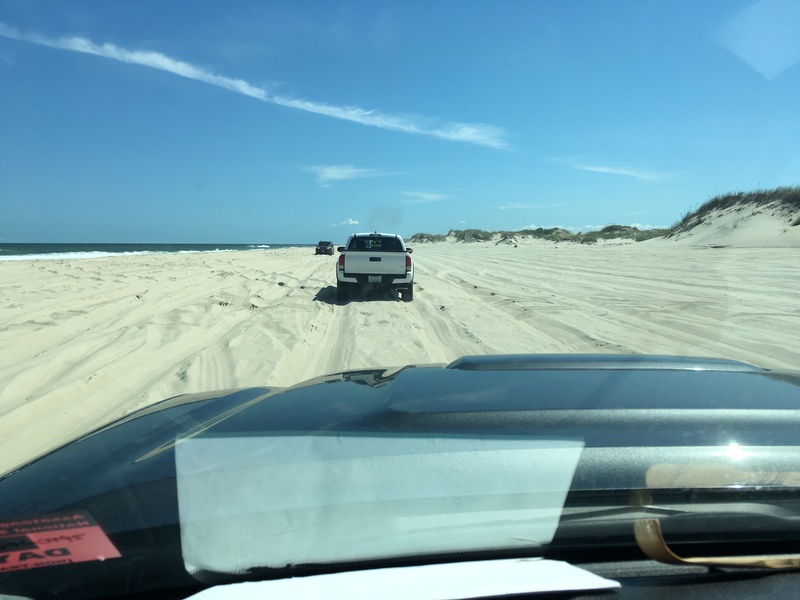 The tires would even bite the sand well enough to pull the truck up and out of deep ruts left by other trucks. The Nittos on my truck outperformed my friend's Jeep with KO2's and my other friend's F150 with Wrangler A/T's - both of which got stuck a couple of times. Performance in the sand was absolutely unbelievable! 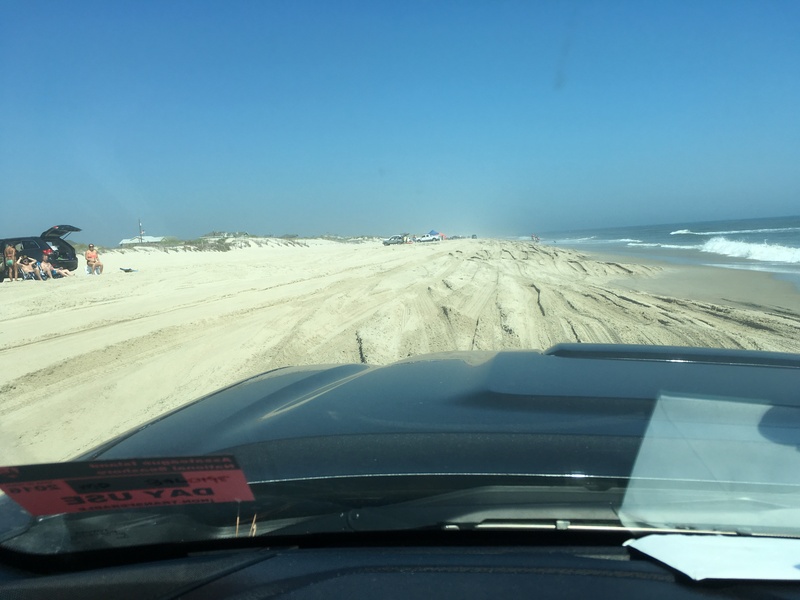 Driving in loose sand - the Tacoma in front of me was holding me up with his aired down stock tires. 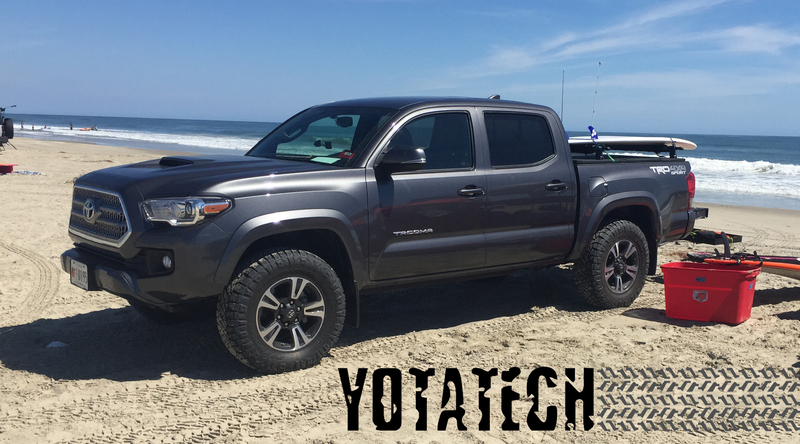 I later talked to him and he said that his TRD Offroad was struggling with the sand even with crawl control. So it's not just the vehicle, but vehicle's tires that make the difference! Magazine reviews are calling the Ridge Grapplers "KO2 Killers" and I believe it! So far, they are the best A/T that I have ever owned! Get some, you won't be disappointed! Last edited by kawazx636; 09-06-2016 at 12:20 PM. 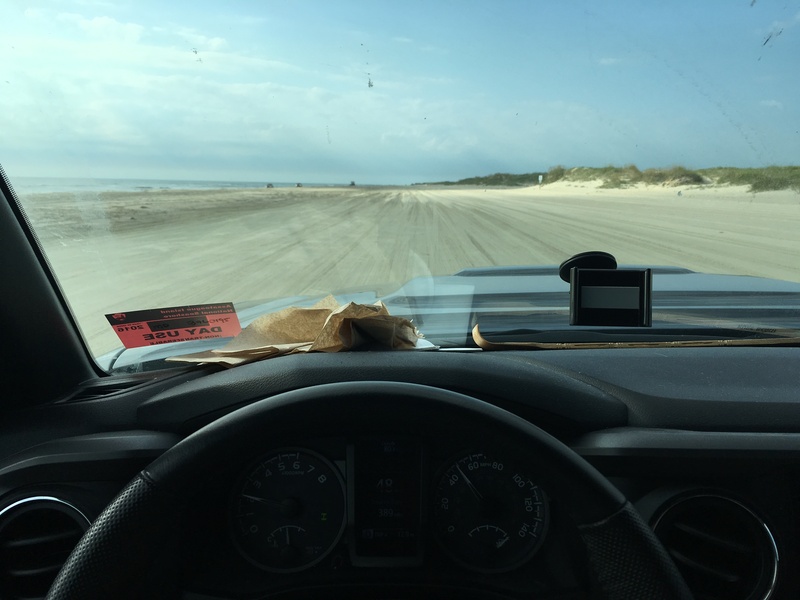 Here's one more shot of my truck at the beach with the Ridge Grapplers. They definitely make my truck look more aggressive!